Leading healthcare, technology and services company, Clanwilliam Group, today announced that it has acquired Bluespier International, leading provider of theatre management solutions. Both Clanwilliam Group and Bluespier share a common focus on delivering innovative services that support the work of healthcare professionals and improve health outcomes. The Bluespier TMS software applications are used in over 50 NHS hospitals in the UK as well as in private hospitals in both the UK and Ireland. Its theatre management suite is clinically focused and designed to enable hospitals to manage theatre, trauma, anesthetics, pre-theatre and stock activities more efficiently. Clanwilliam Group is backed by Eli Global and it has a strong track record of investing in companies which complement its expanding portfolio of healthcare technology products. Its strategy is to invest in businesses which are in a position to add value for its customers and their end users. Gavin Webb, co-founder of Bluespier, will remain a shareholder and will continue to run the business as Managing Director. 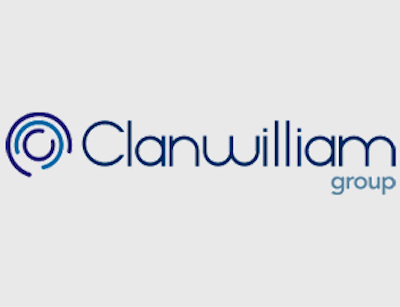 The combined expertise and experience of Clanwilliam Group will serve as a resource to the management team, aiding Bluespier as it continues to grow and expand. Bluespier joins other well-known brands and businesses within the Clanwilliam Group including Helix Health (RxWeb), Professional Medical Management Services and DGL Practice Manager. All businesses within the Group remain independently committed to the ongoing development of their respective flagship products while making use of the synergies that emerge from shared knowledge and expertise. More information about Clanwilliam Group is available at www.clanwilliamgroup.com, while further details about Bluespier International are available at www.bluespier.com.